We are looking forward to a fun afternoon in the SNOW! Because of the past two days we missed, all cycle days will be pushed back. School will now be is session on March 29 and April 18 to make-up the days missed this week as well. It is also the time of year where we need to replenish the supplies in our pencil boxes! As a way to promote career exploration and awareness with our elementary students, the Penn Manor elementary schools are planning a special day across the district. Kids at Work Day is great way to start conversations at home and at school about different types of careers. On Friday, February 22, 2019 students are invited to wear clothing that represents careers they may be interested in exploring as an adult. This starts one of the most exciting times in first grade! The holiday season is a fun time to complete lots of crafts and fun activities! I am excited to share this time together with our first graders! As the holiday season approaches, our class will be learning about how the holiday season is celebrated throughout the world. We have a lot of fun things planned for first grade! If you have a cultural holiday custom that you would like to share, I encourage you to let me know, and I would love to have you come to our class or send items in to teach us about it! If this applies to you, please contact me. Also during this season, I wish to be sensitive to all family’s beliefs. If you would like to talk to me with any concerns, please feel free to contact me. Thank you and I look forward to this season! For a digital copy of our December Newsletter, please download this PDF file! 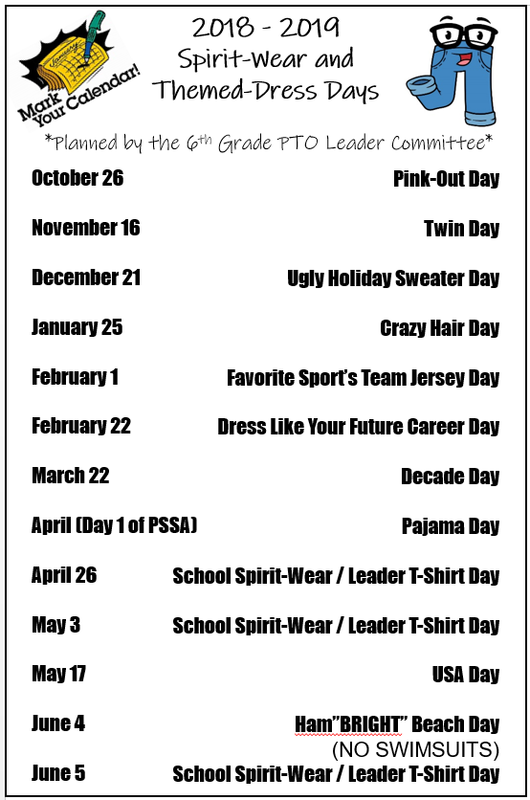 Spirit Wear and Themed Dress Days! This week is Red Ribbon week! It is a way for people and communities to unite and take a visible stand against drugs. Fuzzy Friend: bring a stuffed animal to school for one day! Show and Tell: You can bring a special item to share at morning meeting. Sweet Tooth: Choose a piece of candy! Teacher Seat: Switch chairs with the teacher for a morning or afternoon. When they earn their reward, they will cash in their tickets for a coupon. The rest of the class will save for the next week. So far, the students love our new system! On Fridays you will receive a slip with how many tickets they earned. Our classroom is running low on tissues, hand sanitizer and snacks! While I don’t let the students share their snacks, I do want to make sure that everyone has one. I am fine with large bags of snacks instead of individual packs! Some of the class favorites have been Veggie chips (it’s their number 1 choice, surprisingly enough!!! ), Cheez Its, pretzels, and Goldfish. Conference forms went home so please look out for them and send them back! Let me know if there are any issues with your conference time. Conferences are scheduled back to back so please arrive a few minutes before your scheduled time so that we can stay on track! At this point I think we have everyone signed up for Remind and it seems to be going well! I will continue to use this for reminders. Thank you so much for your patience as I am getting everything set up here at Hambright! I can’t wait to see all of you at conferences! My name is Mrs. Santos and I can’t wait to meet you and your family! Please feel free to explore our classroom website! Here you will find everything you need to know about first grade. You can also visit Hambright‘s school page. Please email me with any questions, comments, or concerns! I am so excited to begin the school year with you! We will have Meet The Teacher night on August 29th in room 107 from 4-6pm! April 1 – Day D, Art, Spelling test! April 4 – Day C, Library, Book exchange! April 9 – Day B, Music, Spelling test! April 16 – Day C, Library, Book exchange! April 17 – Day D, Art, Spelling test! April 29 – Day B, Music, Spelling test! April 30 – Day C, Library, Book exchange! If you are not receiving text message updates, please text @ssantosj to 81010! Thank you! Please remember to read all information on our parent page! Crazy Hair day is January 25th!